​Billy was born on the in the wild, and his mom was run off by a bachelor band when he was just a lil' guy. 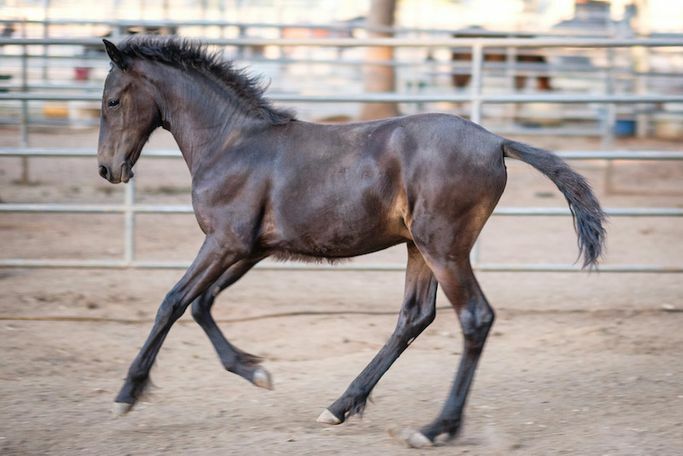 He was fostered by local volunteers before coming to AAE to continue his recovery as an orphan foal. He had a hernia and additional veterinary needs were anticipated. This lil' guy is absolutely adorable. He's active, athletic, and quite social. He loves grooming and other attention. He's playful, yet respectful, does well in halter and with his feet. He'll continue learning as he grows. Billy was gelded at the Loomis Basin Medical Equine Center so the hernia could be mended, however, no hernia was found. Billy is current with vaccines, deworming and hoof care.